Stan Lee, who ushered in a comic book renaissance by co-creating the iconic superheroes Spider-Man, the Fantastic Four, and more passed away on Monday. 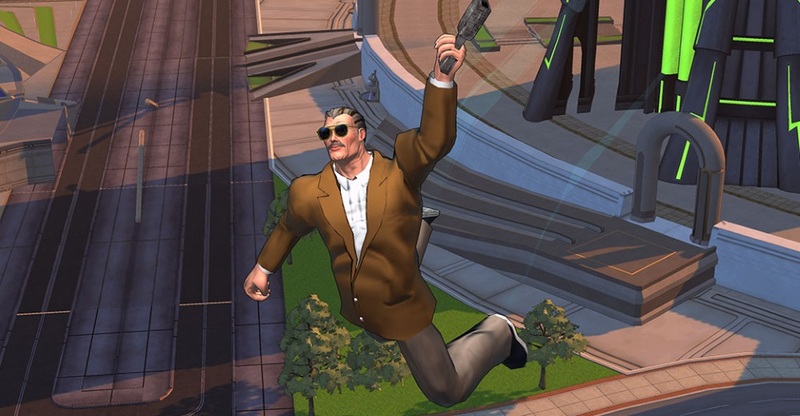 In honor of this giant of the comics industry, Cryptic Studios have offered a small piece of remembrance in their superhero title Champions Online. The world lost one of the greatest heroes in comic book history this week. Stan Lee created so many worlds that inspired, and continue to inspire the work we do here on Champions, and we join superheroes everywhere in mourning his passing. Stan was a bright, powerful force in the world, working to bring comics to the mainstream acceptance they now enjoy for decades. The stories and characters he created, and the man himself, will never be forgotten. As a special tribute, we’ve added Stan’s iconic glasses to Champions Online. The glasses are available for free to all players and are listed as Glasses Aviator Legacy in the tailor.